What's new in 2019 (see what's new for more)? - The PC Cleaner enables you to complain about an application that misbehaves and search for and remove browser extensions. - The Software Updater makes it possible to run a scheduled search for application updates and the list of ignored applications has been moved to a separate window. - A notification about whether your computer supports hardware virtualization has been added. The status of hardware virtualization is also displayed in the component settings window. - New Anti-Banner filters have been added. They let you specify which banners in particular should be blocked. - Display of notifications has been improved. Notifications that are not critical for application performance are not displayed while you are using office applications, running an application in full-screen mode, watching a video or performing a video call. 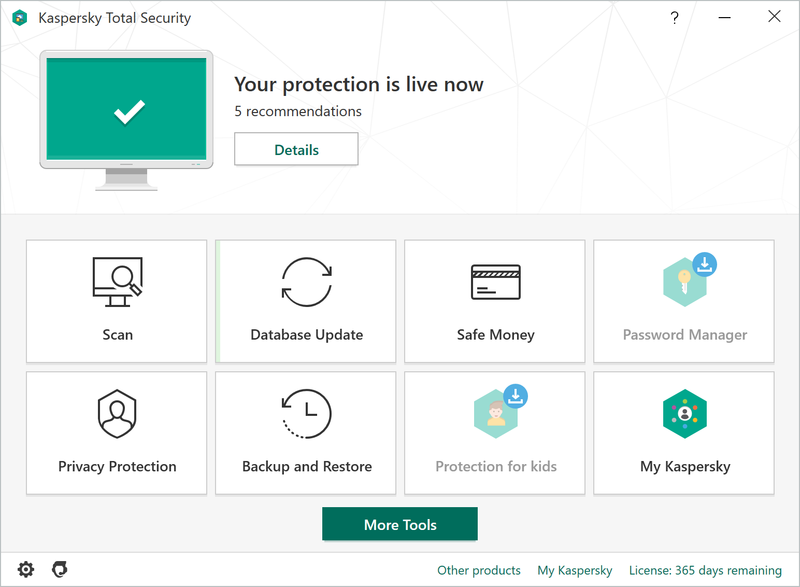 Kaspersky Total Security 2019 is easy to use, with some welcome additions, and as usual provides rock solid protection.